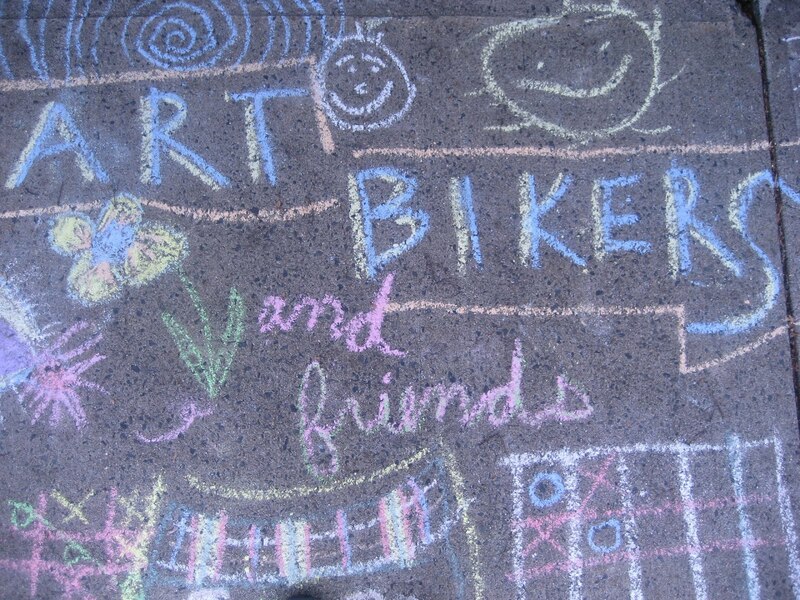 ART BIKERS: Come Weave With Us! On July 17th the Art Bikers got to be guests at Spryfield Urban Farm's 'Evening in the Garden'! We spent a relaxing evening creating natural weaves using branches for looms, twine, and lots of beautiful yarns, strings, and fabrics. The end result was a fascinating collaboration by entire families and gardeners of all ages. When we were finished we hung the large and colourful creations on the Youth Garden fence. Come check it out at the Spryfield Urban Farm, and while you're at it, buy some of their delicious produce! One family = one finished fish!